Did you know that the estimated blood usage rate for 2016 is 117,900 units? Even though the blood stock in Singapore has reached a comfortable level for all blood types, we’re going to need even more blood as our population grows older and new hospitals are opened. Read on to discover the truth behind some blood donation myths, and consider being a blood donor today! 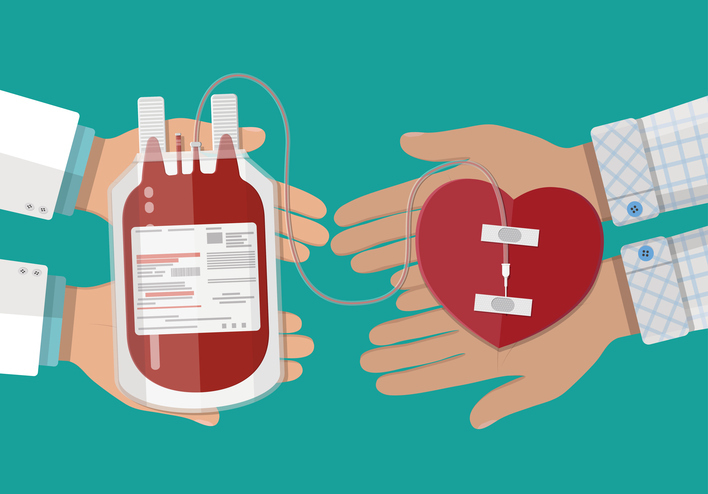 Actually, donating blood couldn’t be easier now that there are four blood banks in Singapore, all with different operating hours – schedule an appointment at your convenience! Furthermore, we organise regular mobile blood drives in the community – visit redcross.sg for more details. We only take about 8–12 per cent of your blood volume, depending on your weight. As a healthy individual, you really won’t miss it – blood volume will be back to normal in about three days. Your body will replenish itself with fresh, new blood within a few weeks. It’s not really that painful. It’s just a small prick in your arm, and our trained nurses will apply a local anaesthetic first, so you’ll hardly feel a thing. Just think: one small prick can save a life. The blood itself is NOT sold and will never be. Blood donors only need to pay a processing fee, which is subsidised for citizens and permanent residents. This fee covers the costs of processing and screening all donated blood. You just need to have a balanced diet. That said, it’ll help if your diet is rich in iron. Foods such as red meat, poultry, fish, beans, dark green vegetables, grains and nuts will help ensure your haemoglobin level meets the requisite level for you to donate blood.